Discover God's Never Stopping, Never Giving Up, Unbreaking, Always and Forever Love. With lyrical text from The Jesus Storybook Bible and new, engaging illustrations, Psalm 23 comes alive for young children like never before. 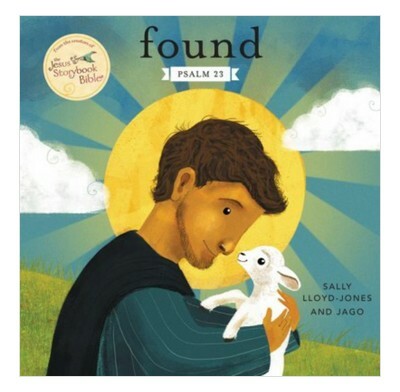 Written by Sally Lloyd-Jones and illustrated by Jago, little ones will fall in love with this padded cover board book that reminds them of God’s Never Stopping, Never Giving Up, Unbreaking, Always and Forever Love.